Ahmed and Reem Rahim are brother and sister, at the helm of Numi Organic Tea, which was launched in Oakland, CA. back in 1999. Ahmed is the Co-founder, CEO and Chief Alchemist, while Reem is the other Co-Founder, Chief Brand Officer and Artist. They named their company Numi after a beverage they drank as children, which was a Middle Eastern lime drink. The uniting force in the creation of Numi was born when they both saw how many popular tea companies were basically the same; offering the same blends without a dedication to high quality and innovation. Both of the siblings complement each other, in terms of what they bring to the table. Ahmed is in charge of all the Numi blends and products, traveling to remote regions of the world in search of high-grade teas and botanicals, that also have a uniqueness generally unknown in the U.S.
Numi Organic Tea has forged a tight partnership with many tea-growing countries, including Africa, China and South America. Ahmed speaks many different languages and enjoys learning about other cultures. Mutual gratitude is key for this tea company when dealing with their suppliers and distributors. Ahmed is also the chief architect responsible for the Numi Foundation’s curriculum, now integrated into many Oakland schools, which offers experiential gardening, social studies and arts to low-income public schools. Their mission is to nurture and empower thriving communities, by providing their Fair Trade farming communities access to clean, safe water – known as H2OPE. Ahmed also sits on various boards and works with non-profit organizations to focus on projects like arts programs for inner city communities, mentoring for-profit companies on subjects such as growth and sustainability, along with other educational and creative endeavors. Reem is also involved with H2OPE and is this tea company’s artist and designer of their packaging and overlooks their marketing development. Reem is also fluent in many languages and lives on a farm with her family, taking care of a vegetable garden, rabbits, chickens and ducks. She also enjoys creating art in her barn studio, when she gets a chance. Through the simple art of tea, Numi strives to inspire well-being of mind, body and spirit. In providing the purest and best tasting tea, this tea company focuses on using creativity, authenticity and commitment to the world and all its inhabitants. Numi Organic Tea celebrates diversity and creativity everywhere, including their own workplace. Their values include celebrating people, nurturing growth, embracing possibilities and encouraging others to be the change. Right from their auspicious beginnings, Numi Organic Tea has been passionate about upholding strong values, especially where sourcing ingredients is concerned, not to mention the partnerships they’ve developed with farming communities and how workers are treated all along the supply chain. Environmental programs this tea company adheres to include Organic and Non-GMO certification, Fair Trade and Fair Labor verification. Numi Organic Tea uses natural, hemp-based, unbleached filter paper for their tea bags, which are biodegradable and compostable. The Numi Foundation built 23 wells in 2016, to deliver clean water to 4,000 turmeric farmers and their families in Madagascar, via their H2OPE initiative. They are also a Founding B-Certified Corporation, which means they create benefits not only for shareholders, but also their employees, the community and the environment. This black tea is blended with rich cacao and chai spices, such as allspice, cardamom, cinnamon and ginger. Smooth and warming, this exotic treat is also great as a latte. This tea is creamy, full-bodied and made from 100% natural ingredients. 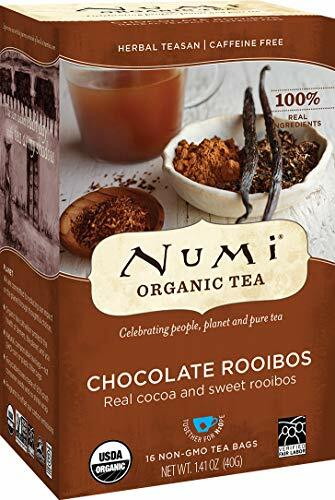 Numi Organic Tea’s Chocolate Tea line is sourced from the Americas, where every stage of processing is done by hand, from planting to roasting to drying and so on. 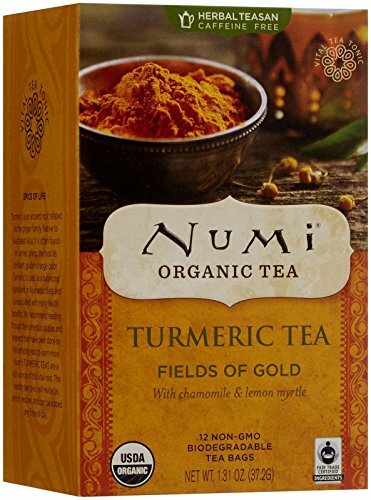 For something a little different, why not try this bright blend of 100% organic ingredients, which includes the mellow flavors of turmeric, zesty lemon myrtle and calming chamomile, creating a sweet and vibrant tea that is soothing any time of the day. Reviewers advise that this tea has a pleasant, spicy flavor with a hint of nuttiness. Also known as ‘nana mint’, Moroccan Mint is sourced from North Africa, where it thrives in an arid climate. The refreshing spearmint flavor is lively and sweet. Available in tea bags and as a loose tea, this is considered by many as a perfect example of how organic, Fair Trade tea should be; full of flavor and kind to the planet and the workers involved. Numi Organic Tea has been around for a while, but they are constantly evolving and giving back to the community and the earth, which is increasingly important as every year rolls by. This tea company also has a great blog called ‘the Tea Garden’ with recipes and articles about tea, so check them out. 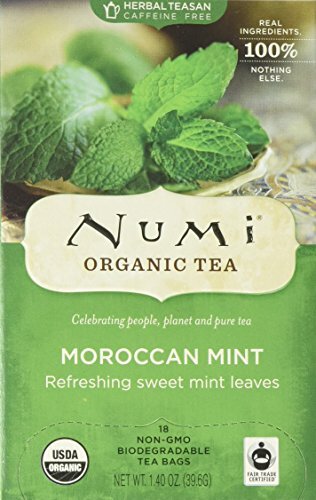 There’s so much more to learn about Numi Organic Teas, who source high-quality, Organic, Non-GMO and Fair Trade ingredients from Fair Labor gardens, to create exceptionally tasty teas and unique herbal blends.